SINGAPORE/HONG KONG (Reuters) - Sinopec Corp, Asia's top refiner, may have a hard time finding buyers for a multi-billion-dollar stock offering of its fuel marketing arm because of investor pushback against higher valuations amid tepid equity markets. 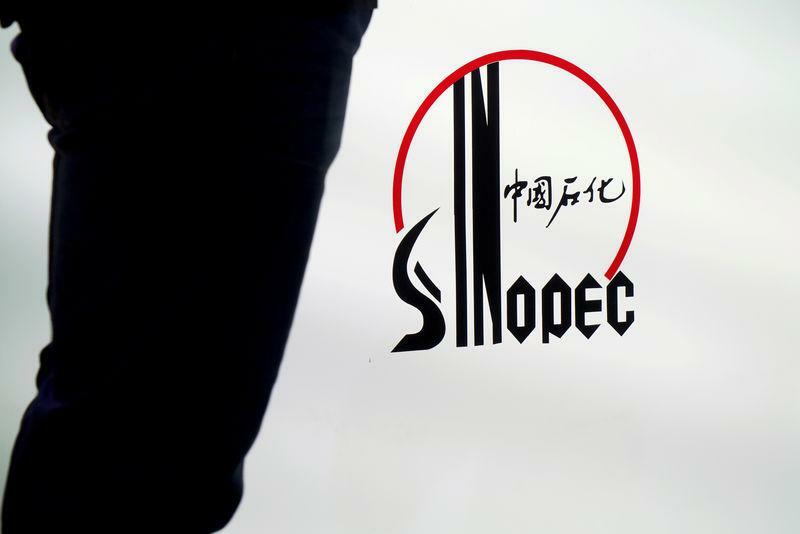 Sinopec won final regulatory approval in December for the listing of its marketing unit in Hong Kong, said two people with knowledge of the matter. The company runs the world's largest retail fuel network with over 30,000 gas stations, 23,000 convenience stores, as well as pipelines and storage for refined fuel products across China, the world's second-largest oil consumer after the United States. But, Sinopec may have picked a bad time for an initial public offering (IPO) for a fuel marketing company amid investor fears of slowing economic growth in China, which posted a drop in exports and imports in December as its trade war with the United States drags on. Hong Kong's Heng Seng Index has dropped 19 percent since it hit a record in January 2018. "It will be a hard sell for Sinopec," said one of the two sources, a banking analyst who tracks Sinopec closely. "The market has an average price/earning ratio of 8 or 9 times, but Sinopec is looking for more than 10 times," said the analyst, referring to a common metric for valuing companies that measures how much an investor is paying for a portion of a company's earnings. In 2014, Sinopec sold a nearly 30 percent share of the business to investors for $17.5 billion, valuing the company then at about $58 billion, in the then largest privatisation push of state-owned enterprises since President Xi Jinping took office. "Sinopec will try its best to list its marketing division in 2019, now that the top government body has given the go-ahead," the source said, declining to be named as the subject was not public. A separate banking source estimated that Sinopec's IPO could happen in the fourth quarter as the firm has not started discussing the sale with banks yet and none have been mandated to work on the deal.